In 2003, thanks to the donations of Dr. Angelo Pesce and his wife Elvira Garbato, a section was dedicated to stone tools made by primitive man of the Saharan area between Libya and Chad, in the Paleolithic and Neolithic periods. 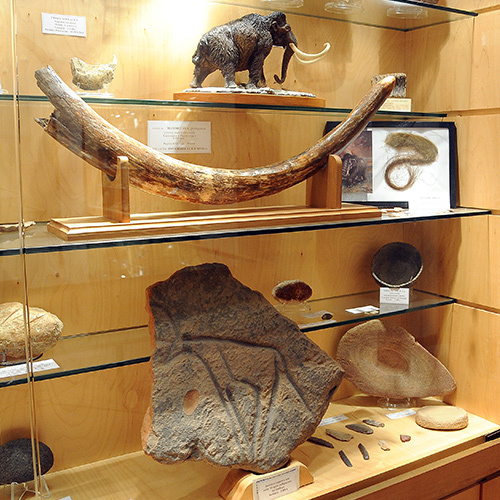 Among the exhibits you will see an amygdule (hand axe) in quartzite, arrow heads, flint and opal bone scrapers, and other tools in serpentine. Particularly splendid is the rock sculpture depicting a herbivore. The anthropological section cabinet on the left.